GIN students get inspired at Eco Summit — CitizenC. 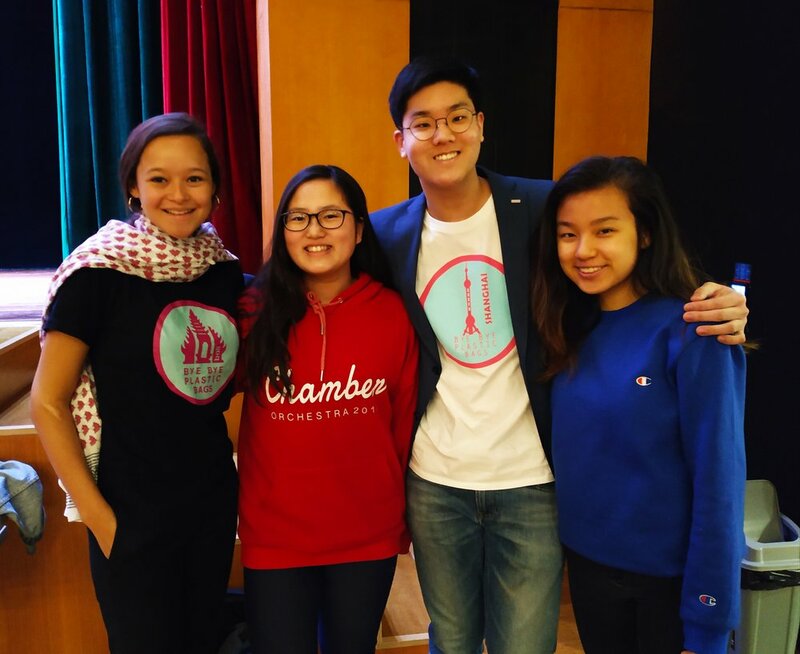 Keynote speaker Melati Wijsen of Bye Bye Plastic Bags (left) with Concordia GIN students Rinka, Hoony and Isbel. Hoony is the founder of Shanghai’s Bye Bye Plastic Bags group. 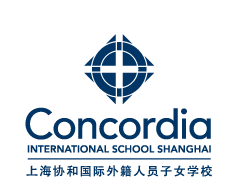 A group of 11 Concordia Global Issues Network students, along with three GIN teacher advisors, embarked on a journey to Dulwich College Puxi on March 23rd for the city’s first Eco Summit. It was a day of fun, learning, and inspiration. With Melati Wijsen’s powerful keynote and interesting student-run workshops, it was such a valuable day. Concordia GINers Rinka and Isabel making the opening comments for the March 23rd Shanghai Eco Summit. Our planet — earth — is our home. We breathe the air, drink the water, and walk the land. This is why we must rise up and become Eco Warriors, ultimately to preserve our planet. Melati Wijsen, founder of the “Bye Bye Plastic Bags” campaign in Bali, was our first speaker of the day. “What can we do now to make a difference?” This is something Melati emphasized as she launched “One Island One Voice”, a collective movement of like-minded activists working towards a more sustainable Bali. It was so inspiring to see a young person, similar in age to everyone attending the summit, making such a tremendous impact. Melati proves that it only takes a goal, passion, and hard work to make a difference. Throughout the day people shared their passion with me in a variety of workshops and conversations. Whether it was dealing with food waste or making a campus plastic-free, everyone was working towards a more sustainable tomorrow. I found this incredibly exciting and encouraging because there were many middle school students at the summit, and they understand and comprehend what they need to do. As the day proceeded, three Concordia GIN students (Lilian, Daisy, and myself) led a workshop about “Plastic – Our World’s Newest Species” to raise awareness of the silent killer that is everywhere. Whether you are using a straw or wearing a synthetic shirt, the material suffocating our planet is constantly around us. This is frightening to think about, as it takes many years for plastic to decompose. That plastic bottle you used the other day will still be here in 450 years (about the time that 4 generations of your family will experience life on this planet). However, you can change this outcome because it all boils down to smart choices, like simply replacing a single-use plastic bottle with a reusable water bottle. The day was a huge success and we hope that the young changemakers and Eco Warriors of Shanghai will continue to work towards green, eco-friendly changes on our school campuses. Concordia GIN students Eleri, Lillian and Daisy lead a workshop about plastics for dozens of Eco Summit participants.